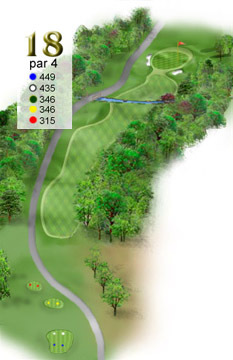 Par 4 and very difficult. It'll take you two really good shots to get home. Most people find themselves laying up just short of the stream that's about 80 yard from the green. Be careful because the greenside bunker in front is a deep and difficult play.